Lentils and rice are a staple in many South Asian countries. As opposed to animal proteins, most vegetable proteins do not contain a complete set of essential amino acids. However, vegetables like lentils are high in fiber and other nutrients. Lentils can be combined with other ingredients like rice to form a “complete protein” with a full complement of amino acids. 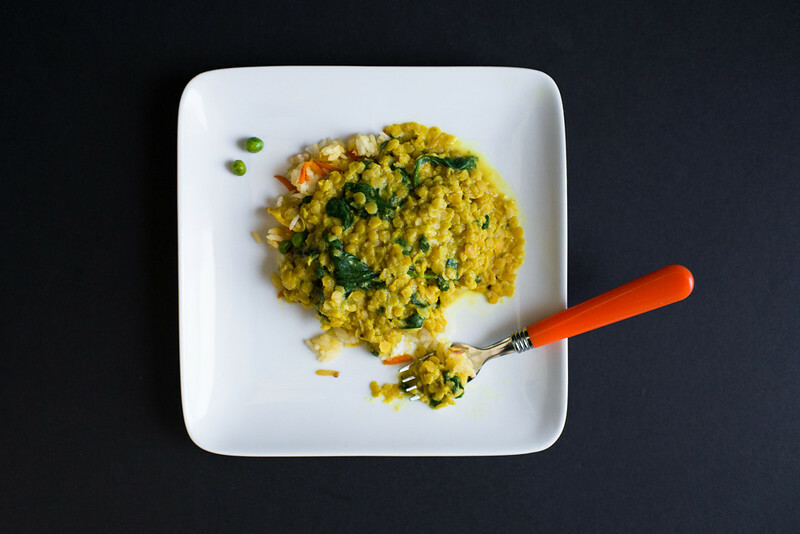 This lentil recipe is similar to what my mother has served my family for years. It is spiced mildly and includes spinach which adds to its nutritional punch. The lentils are served over rice. Try brown rice, which has many more vitamins and minerals than white rice and a lower glycemic index. Cook rice while preparing lentils. Heat oil in a medium saucepan. Cook onions until soft, about 3-4 minutes, add garlic and cook another 1-2 minutes. Add tomato and cook until soft, about 2 minutes. Add curry powder, turmeric and chili powder and mix. Add lentils and enough water to cover lentils by ½ inch. Cook for 5-8 minutes until lentils are soft. Add spinach and coconut milk and simmer another 1-2 minutes until spinach is wilted. Season with salt and pepper and add more to taste. Serve over brown rice. When I was a child, I spent many summers in my parents' native country of Sri Lanka, an island nation in the Indian Ocean. I have watched my cousins and family friends feeding babies and noticed that people generally do not buy baby food in Sri Lanka. Instead, babies are offered an array foods like nutritious meat and vegetable curries, spiced mildly, with rice (which is usually started at about one year of life). One common early finger food is rice mixed with lentils or other meats and vegetables and shaped into small sticky balls. 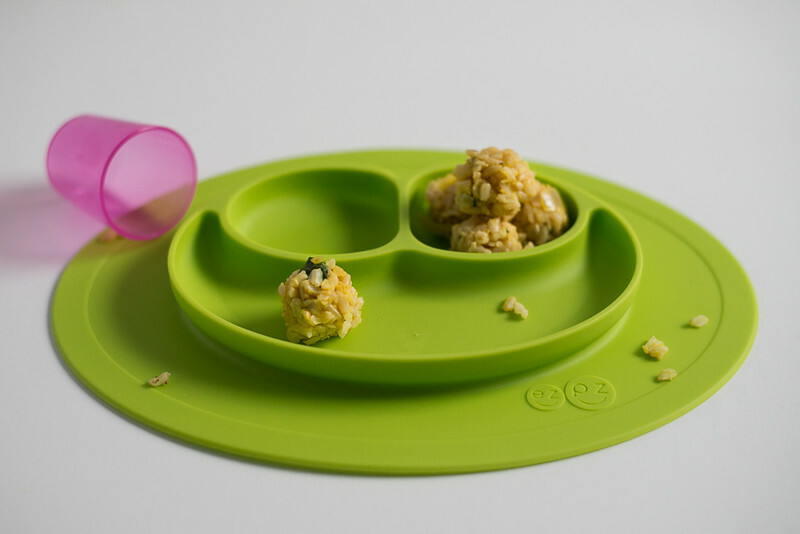 These little rice balls can be easily fed to babies by hand or given to babies to feed themselves. (see picture and recipe below for “Rice Balls with Lentils”). Take about a cup of cooked brown rice. Add a teaspoon of the lentil spinach mixture and mix with your hand. Add more lentils by the teaspoon and keep mashing until you can form the mixture into ¾ inch balls. This can make a great school lunch for slightly older kids, too! Adapt this recipe with rice to make a perfect finger food for baby.